Content Marketing ROI: How to Measure the Success of Your Content? Posted byRaul Harman	 November 22, 2018 April 17, 2019 Leave a comment on Content Marketing ROI: How to Measure the Success of Your Content? Content is king in the marketing world and there’s probably not enough times that statement can be repeated. The main reason content is so popular and so efficient is that it’s simply the most effective marketing strategy there is. But why is that? Simply put, content easily drives business goals because it delivers value to your target audience and customers. 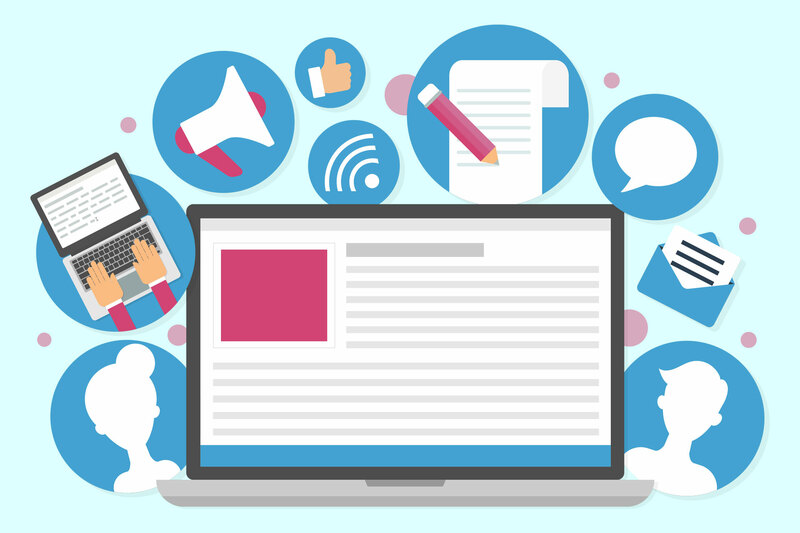 In other words, companies develop content marketing campaigns, in order to engage with their customers by educating, informing and entertaining them. Through content, you can deliver various messages, such as promotions and offers, and they will be better received by your audience than by simply offering them a discount for a certain product. However, a good content strategy requires a good investment and bosses up in the office want to know how that investment is paying off. The fact of the matter is that measuring the ROI of your content strategy isn’t easy. It’s not impossible either, but you have to know which aspects to focus on. Therefore, here are a few ways to measure the success of your content. Determining which goals to pursue is the first step. However, the investment itself is the costs of creating the content that will help drive those goals, such as the amount of money you spent to create it, distribute it, maintain it and so on. As mentioned before, a good content strategy requires a good investment. That means that the more you spend on investing in content development, the more effective your strategy will be. Also, the combined costs of content creation and distribution mark your company’s initial investment into the content marketing campaign. The next step is to measure the content’s success and its ROI. The upper management usually wants to see the numbers related to how much they’ve spent and how much they’ve gained. That’s easier said than done. The main reason is that you’re not selling content for a profit, as you do products or services. Instead, you’re giving it to your audience in hopes they’ll make the desired action. That’s why it’s important to tie content to crucial KPIs (Key Performance Indicators). For instance, you’ve developed content to boost website traffic and sales. Compare the number of website visitors and sales before and after you’ve launched your content marketing campaign. If you’re breaking even, then your content isn’t efficient enough. However, note that it takes time before your efforts start producing viable results. Therefore, if you’re seeing improvement in sales and web visitors over time, it means your strategy is working its magic. Seeing the exact numbers for content’s ROI is difficult. However, you can see a return on investment by measuring content’s success, i.e. how good your content marketing campaign is at driving business goals. Many companies decide to delegate content creation and publishing to professionals. By deciding to outsource content marketing to agencies, it becomes somewhat easier to calculate content marketing ROI. In other words, instead of developing and publishing content on their own, a company sets aside a budget for agencies to utilize. Mind that this is just a rough example with no real value. The fact of the matter is that in most cases, you cannot put a dollar’s worth on the majority of content marketing activities. For instance, brand awareness, customer engagement and similar activities cannot be directly tied to a company’s revenue. Calculating both the success and the ROI of content marketing efforts comes down to a rough estimate most of the time. The best thing companies can do is focus on the important metrics that are tied to the company’s primary goals. Here are a few important metrics regarding content itself your company should be focusing on, in order to measure its success. Brand Awareness and Lead Generation: Content’s main purpose is to educate, inform and entertain your audience or customers. Through those efforts you build brand awareness, i.e. you should measure how your content, such as videos, images, webinars etc. is being perceived. For instance, measure shares, views, brand mentions and so on. Awareness builds audience and audience creates leads. To measure lead generation you should focus on click-through rates for your CTAs, the number of leads generated, conversion rates and so on. Website Traffic: More traffic on your website can mean more sales and conversions. That’s why this metric is crucial to monitor. However, no matter how good your content marketing is, if your website is not performing well or the content on the website isn’t compelling enough, your customers will abandon the site altogether. You should focus on bounce rates, traffic sources, time on page, unique visits, repeat visitors and so on. Conversion Rate and Sales: Every lead has some interest in your offers and has the potential to convert. By monitoring sales and conversion rates, you can measure the success of your content marketing to a degree, as well as calculate its ROI. That’s why you should focus on customer retention rates, the lifetime value of a customer, leads to customer conversions, sales growth, product performance and so on. Measuring the success of your content can be achieved by monitoring KPIs and metrics. However, as far as ROI goes, it may be difficult to put exact numbers on your content marketing efforts. Nevertheless, if your content strategy is successful at driving business goals you’ve designed it for, there’s bound to be a return on investment there. Just keep optimizing things at each level.